Acquisition of a UK based manufacturer of innovative animal supplementation products which enhanced our range of value-adding products to farmers worldwide. Acquisition of US based technology and applications engineering company focused on providing value in commercial nuclear and power plant facilities, government waste remediation facilities and waste clean-up. Acquisition of certain trade and assets of Mortimer Feeds Ltd, an agricultural merchant based in Cheshire. Acquisition of Horse and Pet Warehouse Ltd, a retailer of animal products for the pet, equine and smallholding market based in Ayr, Scotland. Acquisition of Pearson Farm Supplies Ltd, an agricultural retail business with locations based in Skipton, Gisburn and Anglesey. Sale of Carr’s Flour Mills Ltd to Whitworths Holdings Ltd for £36m, enabling Carr’s Group plc to focus on high value markets within Agriculture and Engineering. Acquisition of STABER GmbH, a German engineering company engaged as a critical supplier to Wälischmiller GmbH. STABER had developed certain technology integral to Wälischmiller’s product range and the acquisition brings this under Wälischmiller’s control. Acquisition of Phoenix Feeds Ltd, an agricultural merchant based in Lancashire. Acquisition of Green (Agriculture) Co based in Morpeth and Reid and Robertson Ltd in Balloch, Ayr and Oban, expanding the retail customer base. 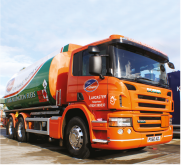 Acquisition of WM Nicholls & Company (Crickhowell) Ltd based in Crickhowell, Wales, complementing the acquisition of B E Williams Ltd in 2014, and consolidating our feed business in South Wales. Carr’s Milling Industries PLC name changed to Carr’s Group plc reflecting the geographic and operational diversity of the Company. Precision machining component specialist for the oil and gas industry. Successful commissioning of new low moisture feed block plant in Sioux City, Iowa. The plant is within ACC Feed Supplement LLC, a joint venture with Consumer Supply Distributing LLC, which itself is 50% owned by CHS Inc. This technologically advanced mill takes flour quality and food safety to a new high level in the industry, and has been described as “the world’s most advanced mill”. This acquisition expanded the feed block business in the US with a plant in Silver Springs, Nevada. 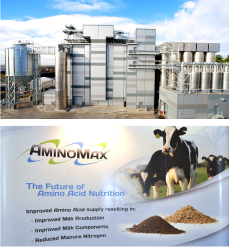 Plant commissioned in June expanding the manufacture of the university research proven bypass protein product AminoMax®. The plant is adjacent to the feed manufacturing facility at Lancaster. Acquisition of Safe at Work Ltd, a specialist protective clothing supplier to the forestry and agricultural markets. The disposal reduced the company’s exposure to fluctuating commodity prices and therefore reduced levels of seasonal working capital. The acquisition of these two companies expanded the agriculture retail network in Southern Scotland. 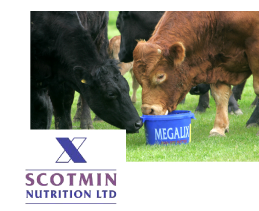 Scotmin Nutrition based in Ayr, Scotland, manufacture mineral blocks, such as Megalix®, complimenting the existing feed block business Caltech. Wälischmiller designs and manufactures highly specialised robotic arms for the nuclear, oil, gas and petrochemical industries worldwide, extending the expertise and geographical reach of the engineering division. 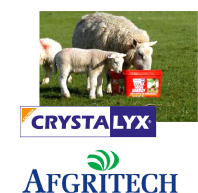 This joint venture expanded the manufacture and distribution of the process patented product Crystalyx® in Germany and through Europe. This joint venture with our South African partners is for the manufacture and sale of the unique rumen bypass protein AminoMax®. This acquisition was the beginning of the fuel business (Carrs Billington Fuels), supplying fuel to both commercial and domestic customers. Acquisition by Carrs Billington Agriculture (Operations) Ltd of W&J Pye animal feed producers. Expansion of the flour division, acquiring two mills, one in Kirkcaldy, Fife and the other in Maldon, Essex. With the existing flour mill in Silloth, Cumbria the flour division now has distribution capabilities in north and south England and Scotland. 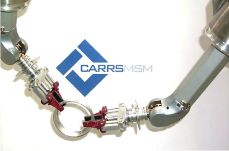 MSM, now Carrs MSM, based in Swindon expanded the engineering division. 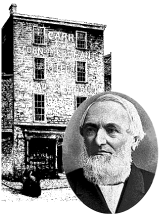 It specialises in the manufacture of manipulators used in the nuclear industry. Formation of Joint Venture, Carrs Billington Agriculture, to supply animal feed from two mills. AFS was the first company acquired by Carr’s in the USA, starting the expansion of the feed block business and presenting growth opportunities in the USA. 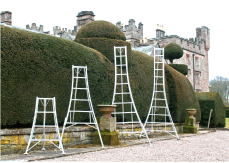 Carr’s first engineering business, Bendalls, is a specialist fabrication business based in Carlisle operating in the nuclear, oil, gas and petrochemical industries. 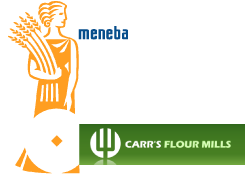 De-merge from Carr & Co. Limited when Carr’s Flour Mills Limited acquired the flour milling assets. Jonathan Dodgson Carr was a remarkable man, with a life characterised by invention, hard work and thrift. Son of a Quaker grocer, he set off to walk from his home in Kendal to Carlisle determined to be a success and contribute something to the life of the nation. Within 15 years Carr’s of Carlisle had become one of the largest baking businesses in Britain. He was also a vigorous campaigner against slavery and the Corn Laws. He started milling flour in 1836 for his famous Table Water biscuit factory, and was the first person to recognise the benefits of high quality Canadian wheat.